The judging tent - phewf! We did have some favourites of our own to add to the ones in my first post, as of course the best test for any food is to see which ones end up in your shopping basket! All of the below are now in my fridge, with the exception of the pickle one which has already been scoffed, hence the empty wrapper…. I’m not normally a fan of cheese with stuff added but the Isle of Man Creamery manage to create the perfect blends, their Cracked Peppercorn and Ploughman’s Pickle were beyond moreish. 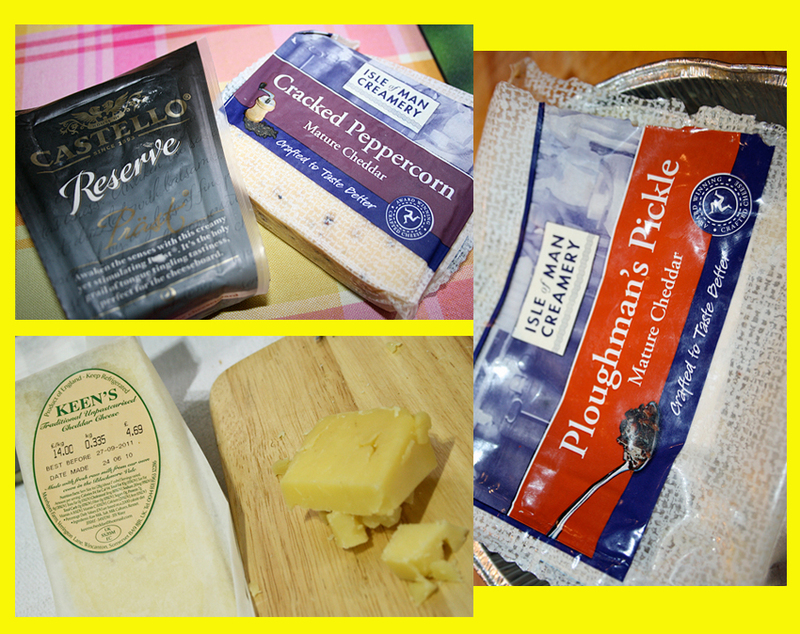 The Castello Reserve Prast in the black wrapper is a Swedish hard cheese launching soon in the UK and it was a little parmesan like, with a smooth texture but a salty kick – best eaten in huge chunks 😉 Mr M was partial to the family run Keen’s cheddar, can’t see that lasting long in our fridge either! 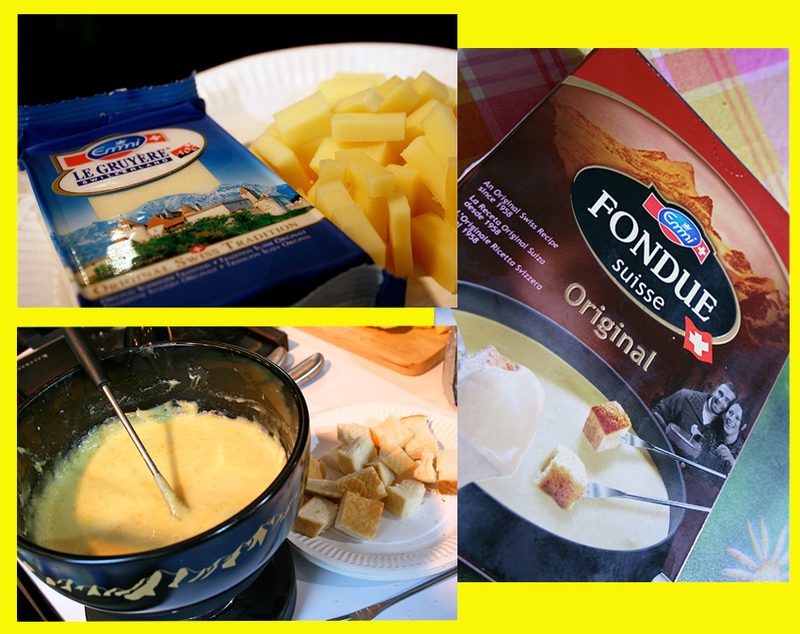 I’m very partial to a stonking Gruyere & smooth alcohol filled fondues – these both by Emmi Kaltbach hit the spot. 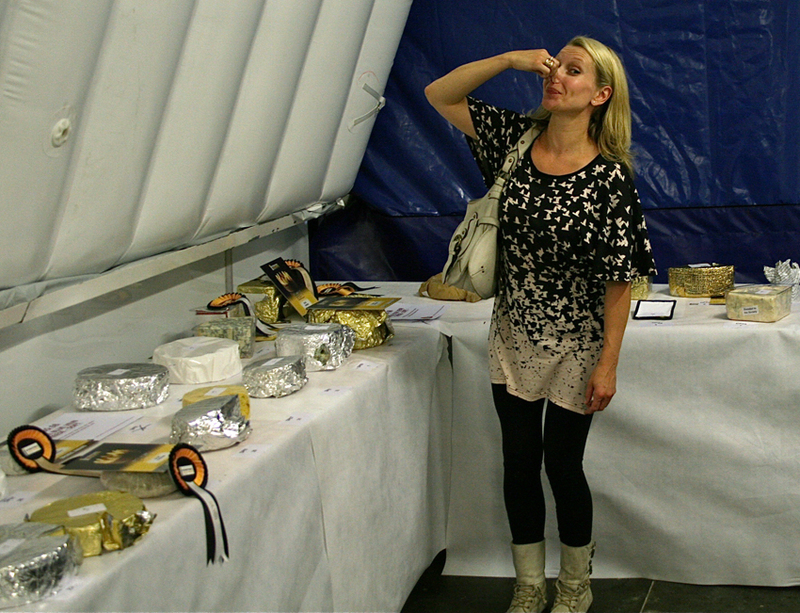 They had the blow-up cave in my previous post, as their cheeses are aged in natural sandstone caves in Lucerne, Switzerland. 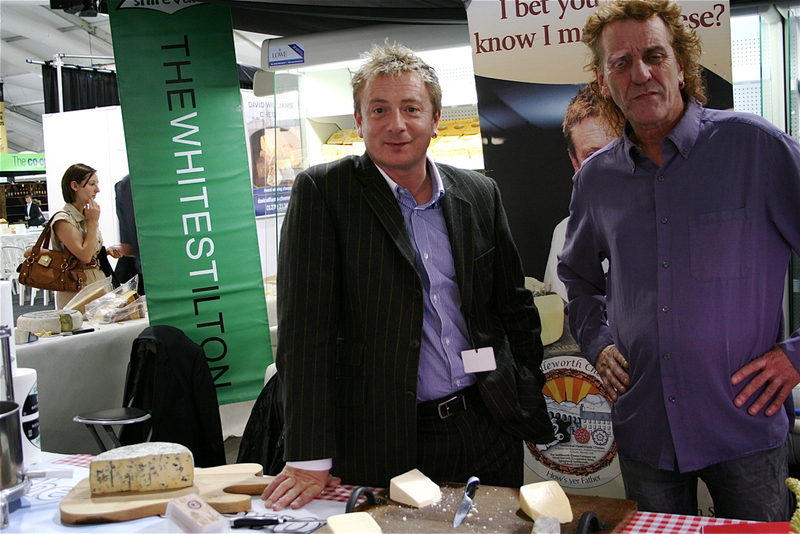 Their web-site is a testament to Cheese Love, something we all felt all day. We were desperately in need of grapes, melon or water after all that cheese and Wiltshire company Tracklements provided the sweet sharpness we needed to clean our palettes, Damson, Gooseberry and Quince preserves, mmmmmmmmm. 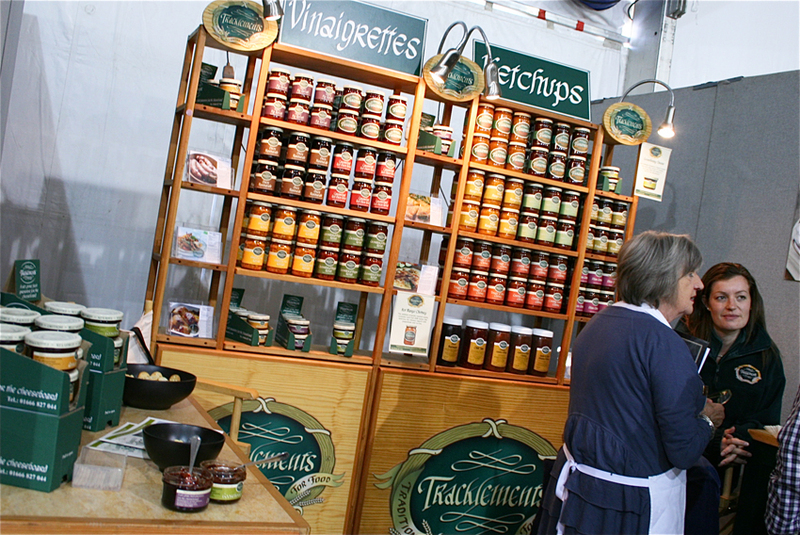 Another lovely web-site if you’re a bit of a foodie, btw. All in all we did marvellously, with consistent and perpetual hand to mouth motion for over 5 hours, it was like an Italian lunch. 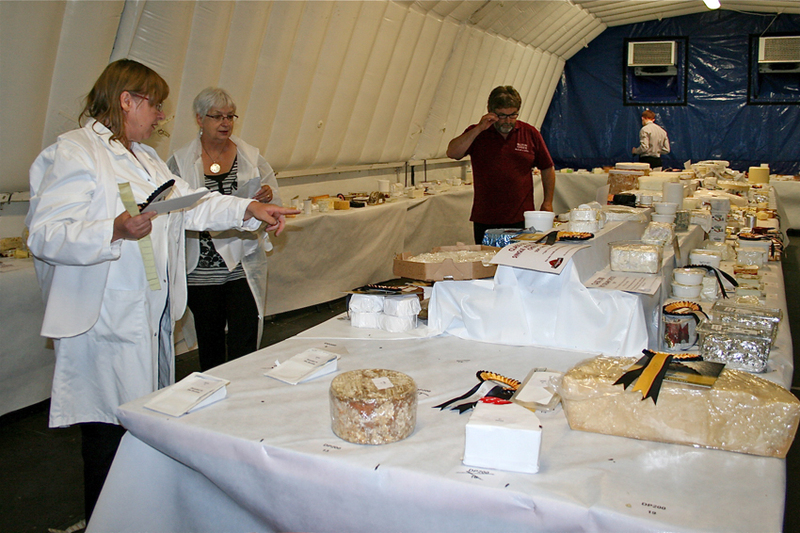 I tried cheeses I hadn’t tasted before and, as food has a tendency to do, was surprised by new flavours. Sticky Toffee cheese? I may never recover! The walls (and me) come tumbling down…. That event is definitely in my diary for next year!